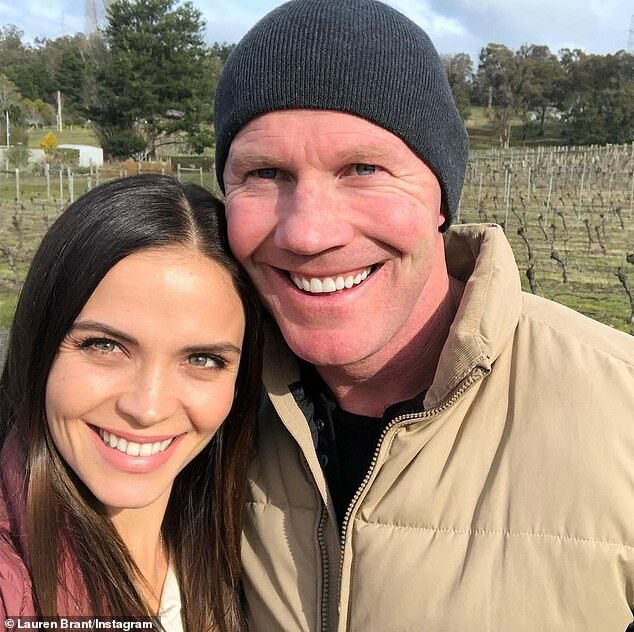 In June, Barry Hall was sacked from his job at Triple M after making lewd comments about another man’s wife. 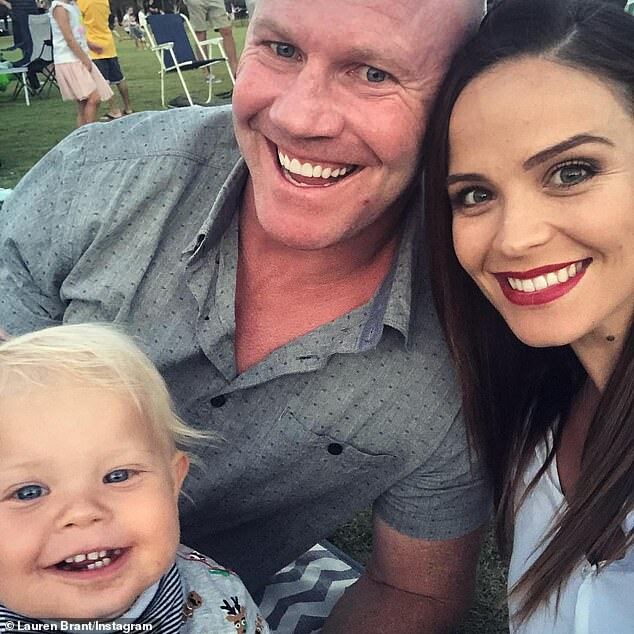 Shortly after, the 41-year-old and his partner Lauren Brant fled Melbourne for the Gold Coast, with Lauren professing that they needed time together as a family away from the limelight. And now the 29-year-old mother has revealed to The Daily Telegraph that the couple are now moving back to Melbourne after several difficult months, during which they were both out of work and facing the scorn of the public. Lauren said: ‘We had some really hard months because it wasn’t just a time where we were out of work, it was a time when we had to watch what the nation was saying, knowing that is not who we are’. 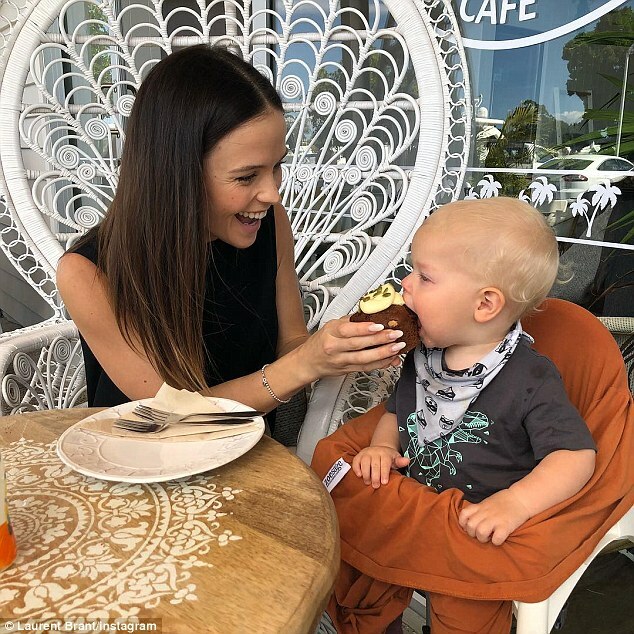 The former children’s performer revealed that Barry is working ‘two jobs’ in Melbourne and she is ready to launch her children’s clothing range, Loli Boli. Getting back on their feet means returning to Melbourne after a lengthy time out on the Sunshine Coast. 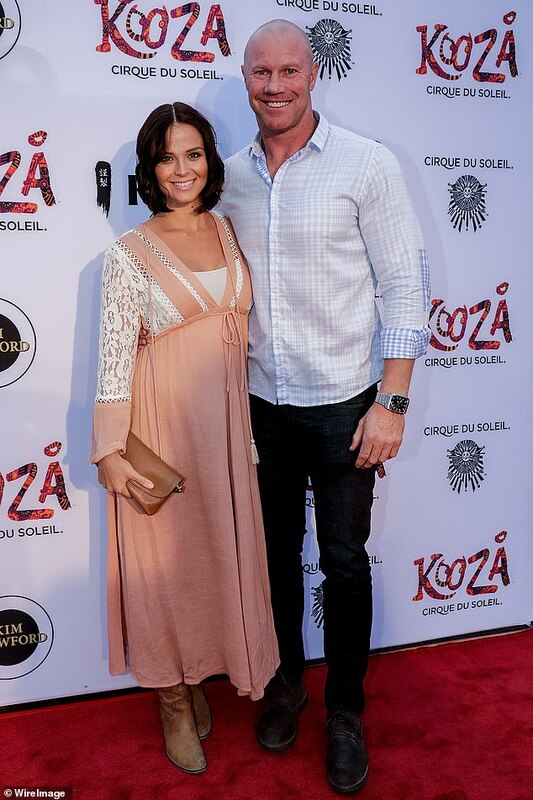 The football champion was sacked on the spot from the Triple M radio network in June after he made a crude and sexist comment about co-host Leigh Monatgna’s pregnant wife. The men were discussing how Leigh’s wife underwent a medical procedure known as a ‘sweep’, in order to induce labour. Hall ‘joked’ that the male doctor behaved in a sexually inappropriate way, which sparked laughter from the other panelists, but led to his firing. In an Instagram post shared in July, Laura defended her man over the comments. ‘Barry fully admits that it was unacceptable, completely regrets it and has done his best to apologise for the offence he has caused,’ she wrote. Also in July, Lauren revealed she and Barry were spending quality family time away from the limelight and had relocated to the Gold Coast. The former Hi-5 singer told The Courier Mail: ‘We’ve just been enjoying time together as a family, focusing on what’s important’. In August, Barry told Channel Nine’s 60 Minutes program that trolls ‘bullied’ him online and threatened to hurt his young son after ‘one stupid little comment’ that was broadcast on radio. 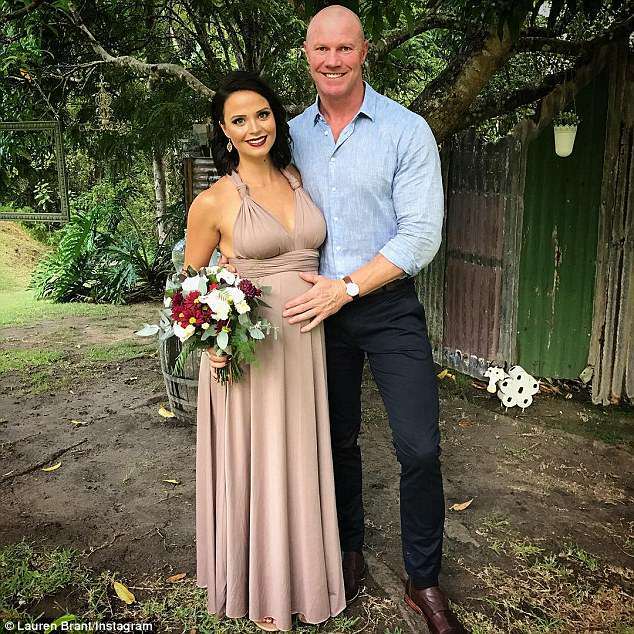 The football champion has revealed he and former Hi-5 star Lauren have suffered financially and emotionally in the months since his vulgar on-air gaffe about a former AFL player’s pregnant wife was broadcast. The once-respected game commentator admitted he no longer had an income to support his young family and that his future earning capacity has suffered as a result. 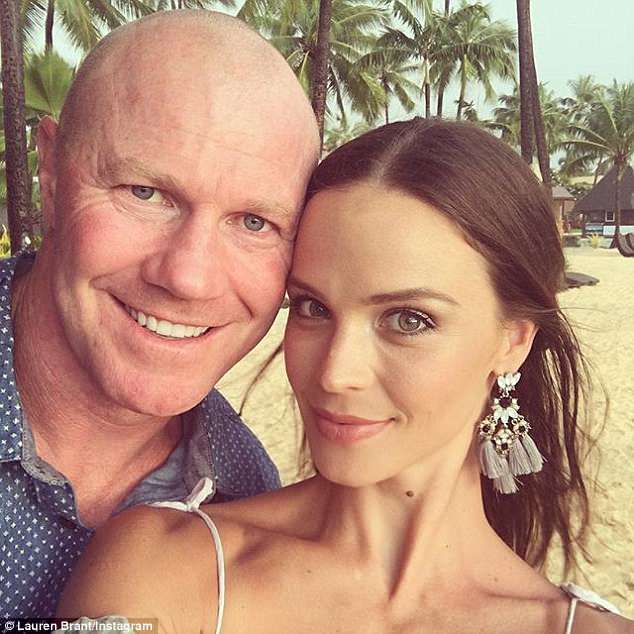 Barry – who played for St Kilda, Sydney Swans and Western Bulldogs – said at the time that he and his partner have also been the target of vile social media trolls with ‘thousands and thousands and thousands of just hate, absolute hate’ online. ‘Basically saying that I was a pig and she (partner Lauren) deserves me and all that stuff and my son’s ugly and talking about harmful things to them, and I’m not just talking about harmful words I’m talking about physical stuff,’ Barry told 60 Minutes. ‘It’s just a pack mentality, really. They just lay the boots in… it’s a form of bullying, really’ he added. Barry and Lauren have been dating since 2016 and share an 18-month-old son, Miller.